A Tin Man Costume including a Jumpsuit and Headpiece ??? Ideal for a Musical, TV & Film, or any other fancy dress occasion! Join Dorothy, the Scarecrow, and the Cowardly Lion on their journey to Oz in this amazing Tin Man Costume. This costume comes complete including a Jumpsuit and Headpiece. This silver Jumpsuit features long sleeves, printed button detail, and a printed Heart Clock with daisy gold chain detail. Add the Headpiece with Funnel design to the jumpsuit, and this Tin Man Costume is complete! The Emerald City and you Heart are waiting for you at the end of the Yellow Brick Road, so grab your Tin Man Costume and be ready for any occasion! 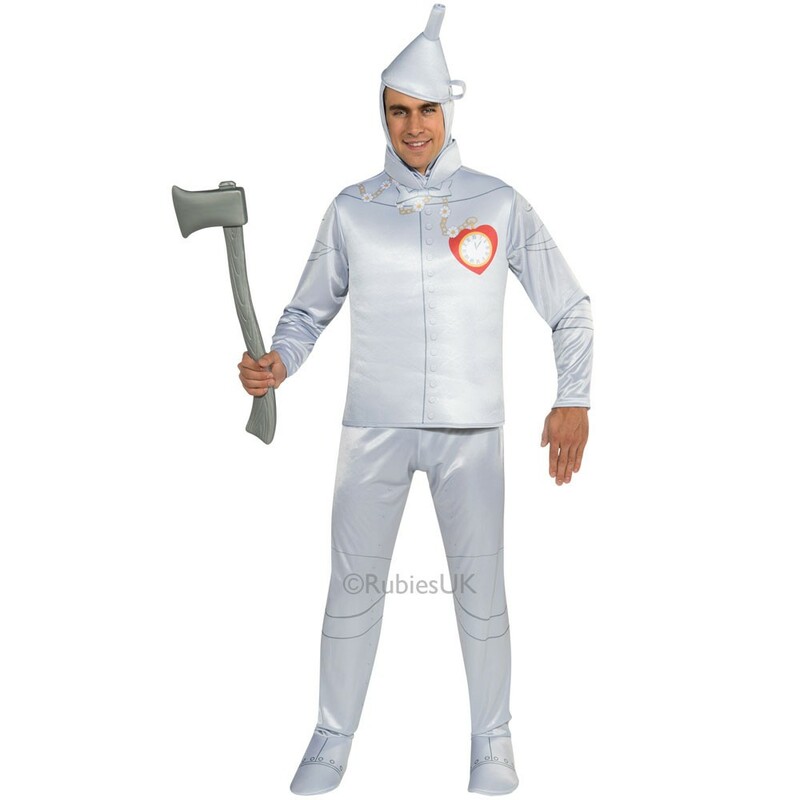 A Licensed Tin Man Costume including a Jumpsuit and Headpiece.